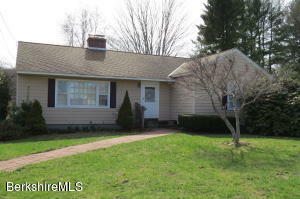 Beautiful, well maintained 3 bedroom ranch in central location close to shopping, restaurants & Berkshire Medical Center. Hardwood floors throughout living room, dining room & bedrooms. 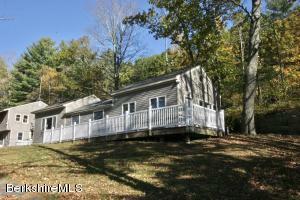 1st floor laundry/mudroom leads out to nice back deck that overlooks large, private yard bordered by woods. Spacious living room with fireplace. Eat in kitchen has wood fireplace with built in grill! Dining room with pretty mountain views. Good sized bedrooms. Full basement with potential to be finished. 1 car garage. 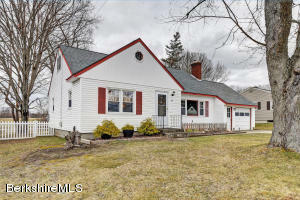 Listed by Colleen Zajac and Susan Colvin of MONARCH REALTY, INC. 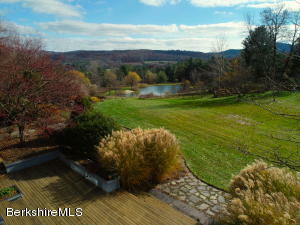 Located up a paved & gated shared driveway on 1.8 acres on north side of Monterey Road are two structures w/amazing mountain views. Wonderful live work scenario. One 2,656 sq.ft. building renovated in 2009 for use as a dorm w/a second structure renovated in 2009 & 2013 has open recreational space, two ADA compliant bathrooms, high efficiency propane-fired furnace & hot water heater. Handicap access, w/ in-ground swimming pool (1984). All sold ''as is'' MOTIVATED SELLER. This is just the house you have been waiting for! 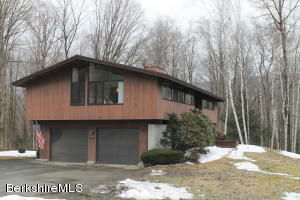 4 bedroom Cape Style home with meadow and mountain view from the backyard. Walk to Canoe Meadows. Dead end street. Newer boiler and updated roof. Open kitchen dining area. Second floor bath has a shower stall that needs to be finished to make it a full bath! All this plus a ONE YEAR HOME WARRANTY!